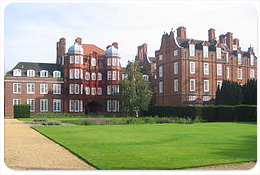 Newnham College is one of the 31 colleges of the University of Cambridge. 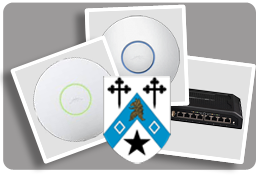 Newnham purchased a large quantity of Ubiquiti products from 4Gon Solutions to improve wireless performance throughout the buildings and grounds of the college. "This solution has allowed us to budget, without sacrificing performance or functionality"
Newnham College is located on Sidgwick Avenue, Cambridge. The college enrols 400 female undergraduate students, 150 post-graduates and 70 staff members. Newnham is the only undergraduate college with an all-women Fellowship. Newnham wanted to update their legacy wireless solution due to it being glitchy and having a limited range. The solution would need to handle over 1000 concurrent users each day, coping with unique Mac addresses and entries into the media server. The network also needed to provide roaming services and have centralised software management. The Newnham College site is substantial. With 28 separate buildings plus a vast array of gardens, the wireless solution would need to provide reliable and consistent network access throughout. The testing stage of the deployment used a Ubiquiti airView to map out the best locations for the access points using floor plans of the college. These locations were then tested by roaming using laptops and iPads. The cost effectiveness of Ubiquiti products enable the solution to fall into budget while still allowing for future expansion and upgrades. Ubiquiti also offers traffic shaping, statistics and charts on user usage. At peak times the network will be required to handle up to 1200 devices due to each user being likely to have more than once device connected. Newnham benefit from using a wireless solution rather than a wired one as it enables rapid deployment, roaming, fantastic accessibility and the ability to host events across large halls and buildings. The ability to update the individual access points in the network offers future firmware flexibility. The network will not collapse because of an update. Solutions from both Aruba and Meru were also considered but Ubiquiti was chosen for its versatility.